Drew has a passion for collaborating on Open Source Hardware and Free Software projects. He is an Open Source Hardware designer and firmware developer at OSH Park. Drew is also a board member of the BeagleBoard.org Foundation and maintains the BeagleBone Python library for Adafruit. interest advocacy organization dedicated to representing consumers and the public interest in technology policy debates in Washington, DC. Jason Kridner is a Founder of the BeagleBoard.org Foundation and a 25 year veteran of Texas Instruments working in embedded systems. The BeagleBoard.org® Foundation is a US-based 501c3 non-profit existing to provide education in and collaboration around the design and use of open-source software and hardware in embedded computing. Jason leads the development of and maintains open-source development tools such as BeagleBoard®, -xM, -X15, BeagleBone®, Black, Blue and the new PocketBeagle®, a Linux-based open-source USB-key-fob computer. Kridner has been a featured keynote speaker and instructor at many industry and educational events including Maker Faires, American Society of Engineering Education Conference, ELC, Collaboration Summit, Android Builders, OSCON, CES and others. Shah Selbe is the founder of Conservify and a National Geographic Explorer and Fellow. He is an engineer and conservation technologist that works with communities, NGOs, and developing countries to identify and deploy technologies that can help with their greatest conservation challenges. This includes low-cost observation platforms (conservation drones, acoustic sensors, open source sensors, satellite imagery, etc) and better methods to share and manage the data gathered (using mobile technologies, crowdsourcing, etc). He founded the first solely conservation technology makerspace and nonprofit prototyping lab called Conservify, which uses open source technology to empower local communities to bring innovative tools into how we change our planet’s’ future. Over the last few years, Conservify has built open source hardware for use in the field on National Geographic expeditions and through our network of scientists and conservationists. Our work has included water quality characterization in Peru’s Boiling River, biodiversity protection in Botswana’s Okavango Delta, tracking glacial melt in Canada’s Banff National Park, understanding the behaviors of Congo’s lowland gorillas, helping citizen scientists monitor water in the Amazon Rainforest, and many more diverse activities across the globe. Our main initiative is FieldKit, an open-source software and hardware platform (environmental sensors, app, and FieldKit.org website) that allows individuals and organizations to collect and share field-based research data and tell stories through interactive visualizations. Designed to be easy to deploy customizable, FieldKit can be adapted to meet the needs of diverse research teams, from biology and ecology to marine and environmental sciences, from post-doc researchers to elementary school students. FieldKit offers a simple platform for enabling live data expeditions, and for the creation and deployment of environmental sensor networks or in situ monitoring. Shah is also a New England Aquarium Ocean Conservation Fellow and PopTech Social Innovation Fellow. Before becoming a conservation technologist, Shah spent 10 years as a rocket scientist building and launching satellites with Boeing. Maker and Biker, founder of Seeed Studio, Chaihuo makerspace and Maker Faire Shenzhen. He is a Believer of open source and crowd innovations. His major efforts is creating Seeed since 2008, as an technology service company to provide open hardware and agile manufacture service. Seeed work closely with technology providers to offer an open, modular and structured solution for IoT and AI. It also integrates the supply chain resources basing in Shenzhen to help scale prototypes up to mass productions. With all the works done to accelerate hardware innovators and maker culture, he has been well recognized by public and industries. The creator of GrassrootsMapping.org and co-founder and Research Director for Public Lab, Jeffrey Warren designs mapping and community science tools and professionally flies balloons and kites. Notable software he has created include the vector-mapping framework Cartagen and orthorectification tool MapKnitter, as well as open spectral database and toolkit Spectral Workbench. He is on the board (since 2014) of alternative education program Parts and Crafts in Somerville MA, and an advocate of open source software, hardware, and data. He co-founded Vestal Design, a graphic/interaction design firm in 2004, and directed the Cut&Paste Labs project, a year-long series of workshops on open source tools and web design in 2006-7 with Lima designer Diego Rotalde. OSHWA 2018-2020 Board Nominations Open! 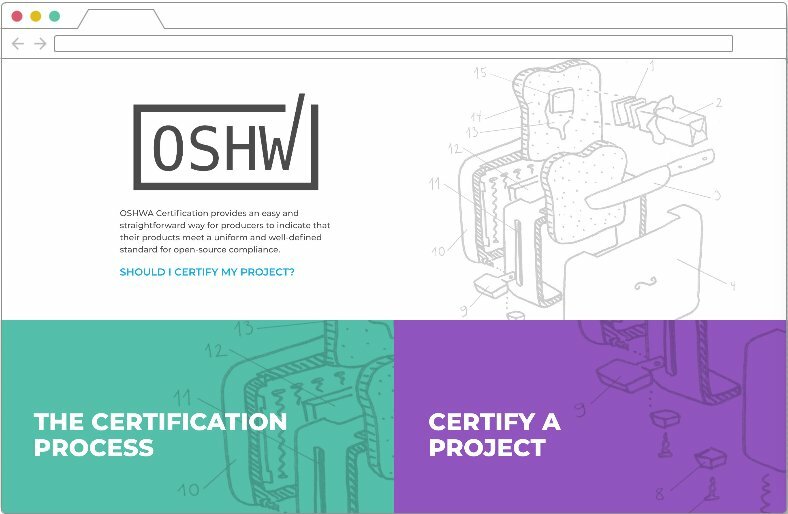 OSHWA is looking for 6 new faces to join the board of directors for the Open Source Hardware Association. The nominee form is for self-nominations only. Please fill out the nominee form (deactivated Nov. 4th) to become a nominee or forward the link to someone you want to nominate. Do not fill out the form for someone else. The purpose of this form is to tell voting members why you want to serve on the OSHWA board. We will be publish the nominees and their answers on Nov. 5th. Board members hold a 2-year position. Once board members have been chosen by the community, the board will appoint a President, VP, and Secretary. Board responsibilities include fundraising, advising on goals and direction, and carry out compliance with the organizations purposes and bylaws. See the board member agreement to get a sense of the responsibilities. Board members are expected to adhere to the board attendance policy and come prepared having read the board packet. Board members are expected to spend 5-10 hours of time per month on OSHWA. Nominees can submit questions to info@oshwa.org. Nominations will be open until Nov. 4th. Member voting will take place Nov. 8-12. Want to vote in the election? Become a member! Please note that only individuals can vote, corporate members cannot.